This museum has been named the top museum in Singapore and ranked 9th in Asia by TripAdvisor’s Travellers’ Choice awards for Museums released in Sept 16 2014. 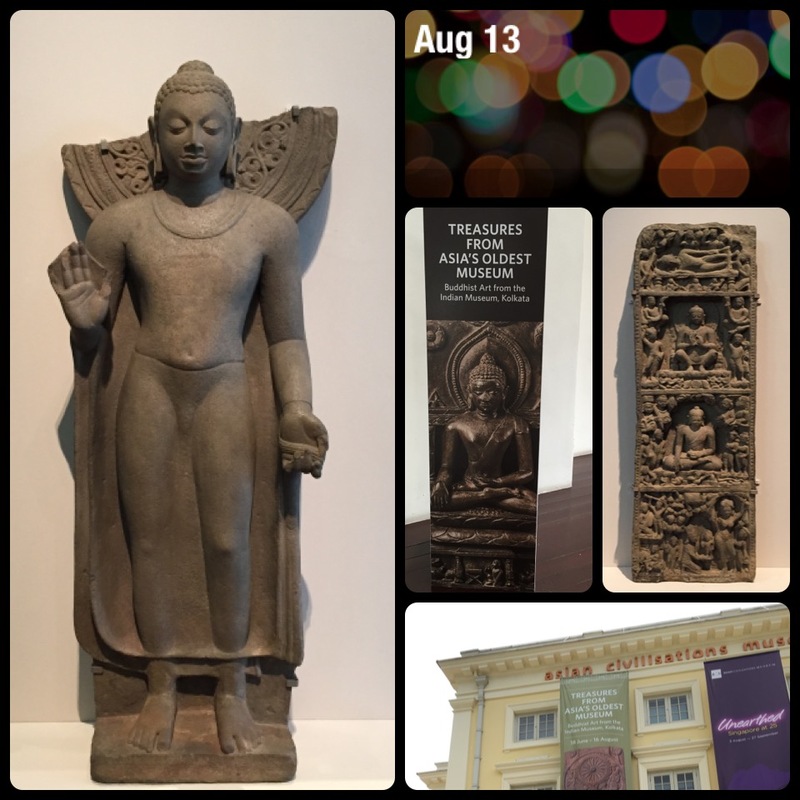 I was fortunate enough to spend an hour walking amongst the Buddhist treasures on loan to ACM from Kolkata Museum, Asia's oldest museum on 13 August 2015. 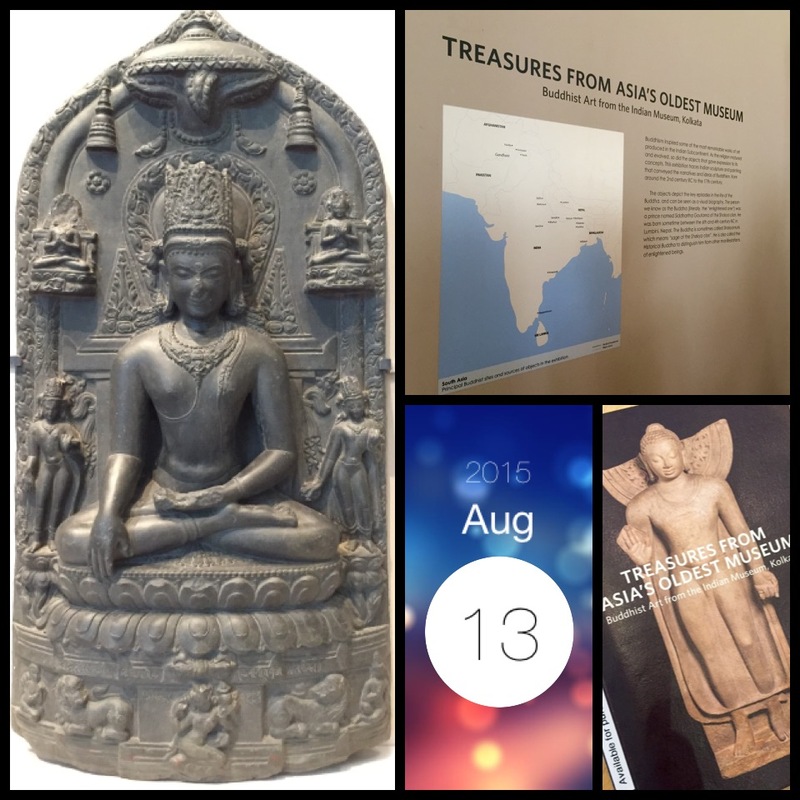 I chanced upon this last guided tour expertly managed by the ACM's volunteer guide and was transported to lands far away in India across centuries of Buddhist art that spans some 2200 years from Gandhara (2nd century), Mathura (1st to 3rd century), Gupta (5th century) to Pala (10th - 11th century). 在 2015 年 8 月 13 日，我很幸运加入最后一个小时的步行游览。在ACM导游指导下，运送到很远的印度政局跨越几个世纪的跨越从一些 2200 年的佛教艺术 Gandhara (2nd century), Mathura (1st to 3rd century), Gupta (5th century) to Pala (10th - 11th century). Singapore's links to Calcutta started during the British rule with Singapore being ruled together with Melaka and Penang by the British based in Kolkata. Founded in 1814 (some 5 years before Sir Stamford Raffles reached Singapore shores), the Indian Museum, Kolkata contains one of the greatest collection of Indian sculptures. The pieces on display showcase different phases and interpretations of Buddha and his teachings. Buddha (literally the 'enlightened one') was an Indian prince named Siddhatha Gautama born sometime between the 6th and 4th centuries BC. He is sometimes called Shakyamuni which means 'sage of the Shakya clan'. It was a visual treat showcasing centuries old depictions of Buddha's birth, life, enlightenment and death (nirvana) carved out of sandstone, Schist, stucco, bronze, basalt and stone.